Your Session is about to expire. If you want to continue working click OK before the timer below winds down to 0:00. If you cancel your online application, you will lose all the information you have entered till now. Are you sure you want to cancel? Be very careful if you are on a public computer. This application involves exchange of private information of the applicant. Do not proceed if you are not sure about the safety and security of this computer or the network connection. There was a communications error while retrieving information from the server. Make sure that you have a connection to the internet before trying again. Responses are accepted only in English. Note that if you print this application, you will not be able to have it mailed to you or complete it online. Note that if you have this application mailed to you, you will not be able to print it or complete it online. 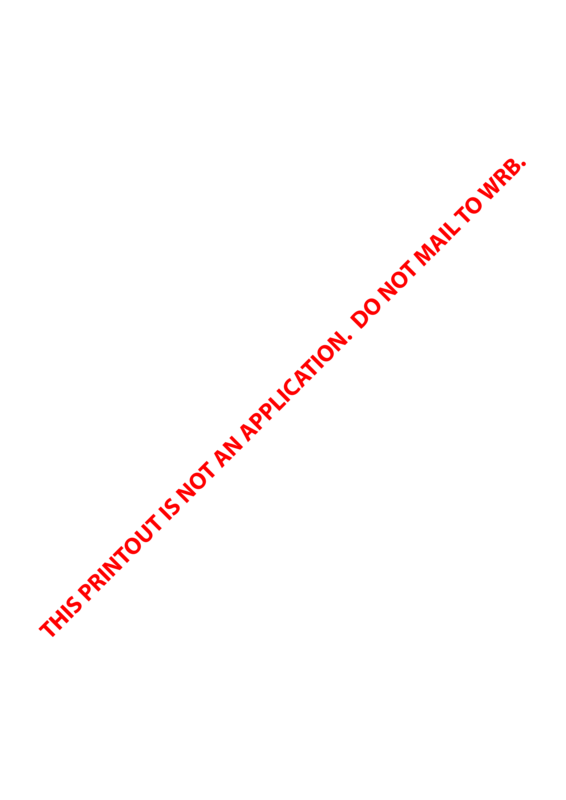 You will not be able to save a partially completed application and retrieve it to complete it later. If you close your session before submitting your application all data entered will be lost. Completing the online application could take up to an hour, so please make sure you have enough time to answer all questions. You will also need to upload supporting documents, which may need to be scanned first. Incomplete applications will delay your approval and could result in rejecting the application. proof of hardship if applicable. Please ensure that you have all documents scanned or in a digital format so they are ready to upload before starting the online form. For more information visit the instructions page. If instead you wish to fill out a paper application and attach hard copies of supporting documents, click Cancel below to return to the previous page and select Print Now or Mail Me an Application option. All information must be current.